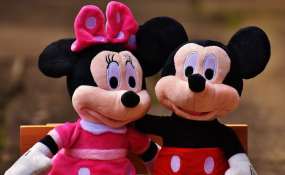 Micky and Minnie (file photo). Children in the cancer ward of the Windhoek Central Hospital were delighted last week when Micky Mouse and his consort, Minnie, visited them for a day full of fun and unexpected gifts. Micky and Minnie, and a small bevy of clowns, were summoned by the staff of the Avani Windhoek hotel to celebrate the birthday of the founder of the group's holding company, Minor Hotels. This they then connect to the group's Corporate Social Responsibility. Minor founder, Bill Heinecke, told his managers at all 21 establishments spread over 14 countries to use his birthday as the anchor for celebrating Founder's Day. This must be done through tangible and visible interaction with the communities in which they operate. Avani Windhoek chose to bring sunshine to the small cancer patients in Windhoek Central. The party delegation also brought gifts of blankets, beanies, toiletries and lucky packets, adding to the children's pleasure and joy of meeting their cartoon heroes face to face. Christille Feris of Avani said they are proud to be involved with the community, "doing our little bit for the children at the hospital on Founder's Day is what Mr Heinecke had in mind when he created it."